New York : Women who suffer from elevated blood pressure during pregnancy are at an increased risk of developing heart diseases and other health problems such as diabetes and stroke in later life, says new research. 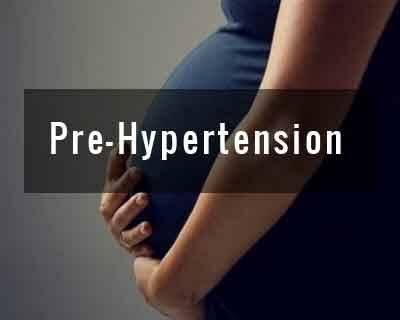 The findings showed that pre-hypertension with 120-139 mm Hg systolic pressure (top number) or 80-89 mm Hg diastolic pressure (bottom number) can be dangerous for pregnant women. Pregnant women with blood pressure in the pre-hypertension range had a 6.5 times greater odds of developing metabolic syndrome (such as diabetes and stroke) after pregnancy, compared to women with blood pressure in the lower normal range. Further, pregnancy can also prove to be a cardiovascular stress test for women who can reveal underlying disturbances in blood pressure regulation, glucose and cholesterol metabolism, the researchers said. Abnormalities in all three areas can disrupt heart functions and lead to full-blown cardiovascular disease in later life, said the paper published in the journal Hypertension. For the study, the team analysed 507 Chinese pregnant women with uncomplicated pregnancies and no history of hypertension and had normal blood sugar and cholesterol levels. “Early identification of metabolic risk factors and implementation of lifestyle modifications may help delay the onset of cardiovascular disease that would present itself 20 to 30 years after delivery,” said Jian-Min Niu, lead researcher from Guangdong Women and Children Hospital in China.